Here you will find all the instructions on how to jailbreak your iPhone, iPad, iPod on iOS 12 – iOS 12.1.2 and install Cydia using new unc0ver jailbreak. Please take care when using this jailbreak, it’s still on beta but Cydia and Substrate working. 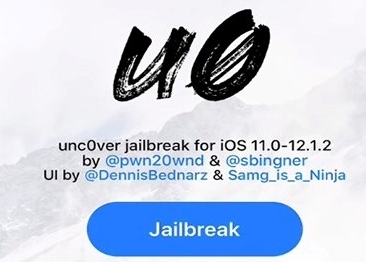 It is semi-untethered jailbreak meaning, you will need to launch unc0ver and re-Jailbreak each time you reboot. Free developer certificate will expire after 7 days and need to re-sideload the unc0ver app every seven days. 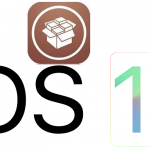 How to install unc0ver jailbreak on iPhone / iPad / iPod ? Step 2. Click on “Install” and wait for the unc0ver jailbreak app to be installed on your iOS device. Step 3. Once it complete, go to Settings >> General >> Profile and Device Management. Under “ENTERPRISE APP” section, select the developer name and tap Trust. You will now be able to open the unc0ver app on your home screen. Step 5. Wait a moment, you will be notified that the system snapshot has been successfully renamed. Just tap “OK” button and your device will reboot. Step 6. Reopen the unc0ver app and tap the “Jailbreak” button again. Step 1. Download the latest version of unc0ver IPA file on to your computer from the above link. Step 5. Cydia Impactor will ask you to enter in your Apple ID credentials. Enter your Apple ID and password. Step 7. Go to Settings >> General >> Profile and Device Management. Select your email address and tap Trust. You will now be able to open the app.. Step 9. Wait a moment, you will be notified that the system snapshot has been successfully renamed. Just tap “OK” button and your device will reboot. Step 10. Reopen the unc0ver app and tap the “Jailbreak” button again.